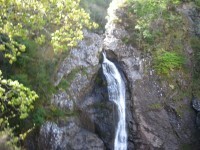 Car parking, general store and the Waterfall Café are all located at the top of the falls. 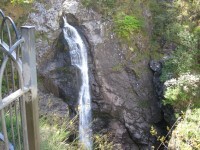 The river foyers drops a spectacular 140 feet in to the gorge know as the Falls of Foyers, and then runs into Loch Ness. 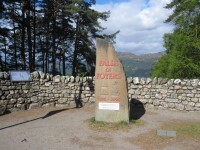 Related link Foyers Stores & Waterfall Café. 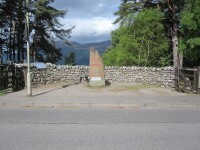 The nearest National Rail station is Inverness. 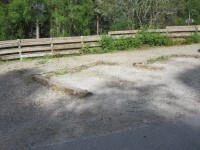 The car park is located opposite the entrance gate. 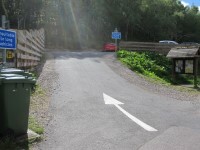 There is a road to cross between the car park and the entrance. 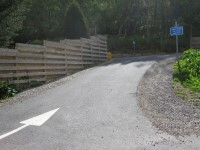 The road is generally quiet. You are on Level Change (Car park). Skip to the next section. 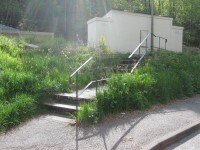 The ramp/slope is located to the right side of the car park. 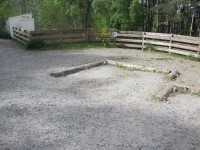 The step(s) is/are located to the left side of the car park. There is/are 10 step(s) to the area/service. 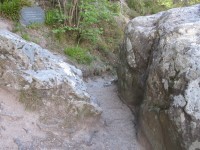 This information is for the entrance located opposite the car park. The width of the door opening is 125cm (4ft 1in). 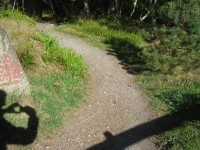 The path(s) has a / have compact earth, loose wood chippings and muddy surface(s). 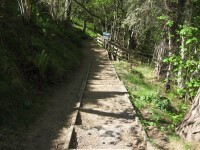 The majority of the path(s) is not / are not wide enough for wheelchair users. 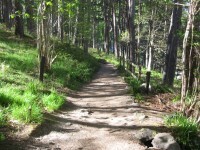 There are moderate and steep slopes on the paths. 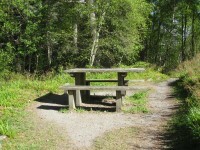 There are not any bench seats situated along the paths for people to rest. 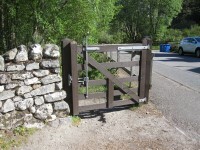 Once through the gate the path winds down to the left. 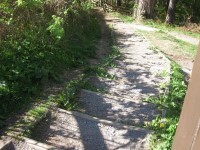 The stepped path is narrow and steep in places and has no handrails. 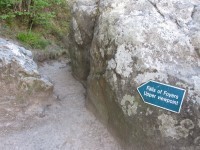 It leads down to a viewpoint and then carries on further down to a second viewpoint. You are on Viewpoint. Skip to the next section. 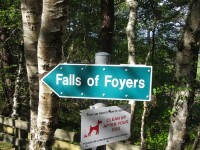 From here you can see the Falls of Foyers. 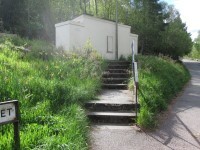 Standard toilet facilities are not available.